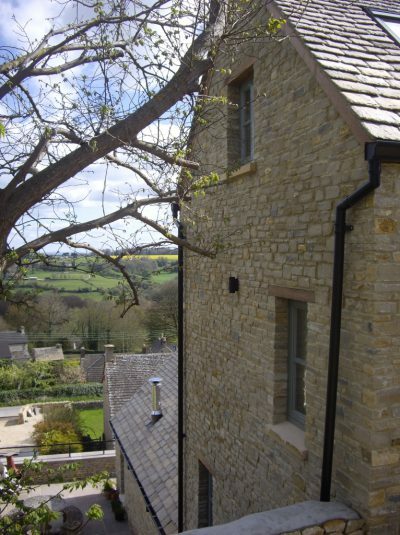 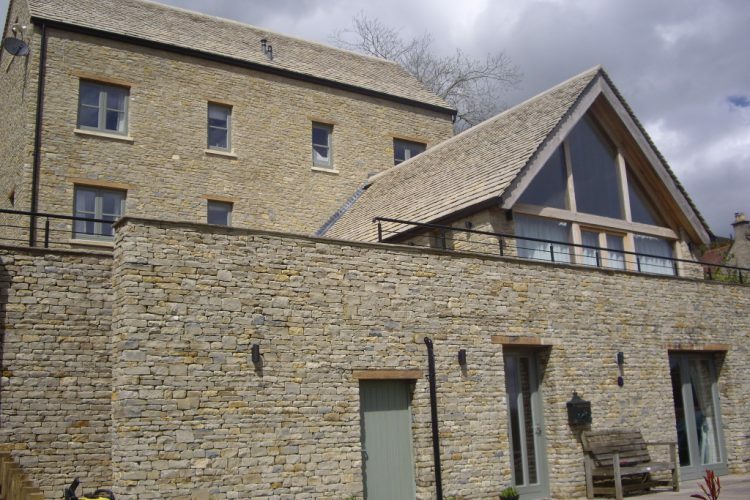 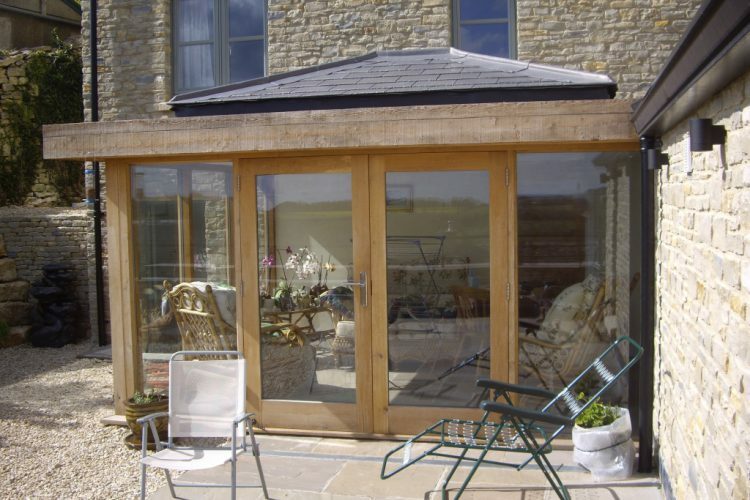 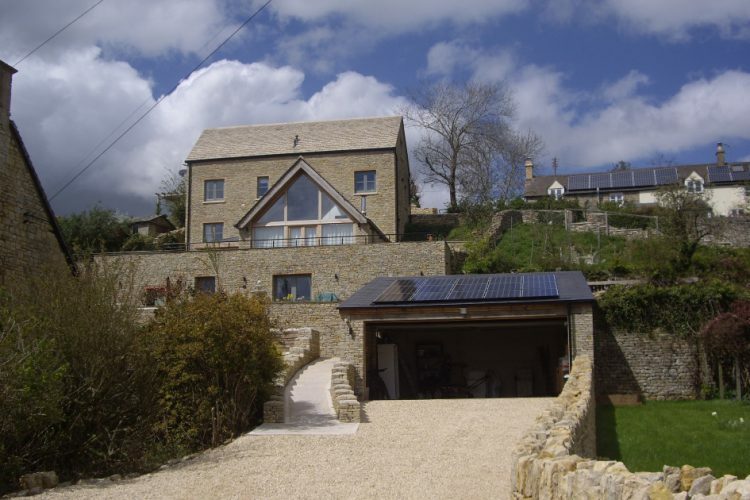 Oakridge is a substantial new house using local materials and massing, set on a steep south-facing hillside above the Stroud Valley. 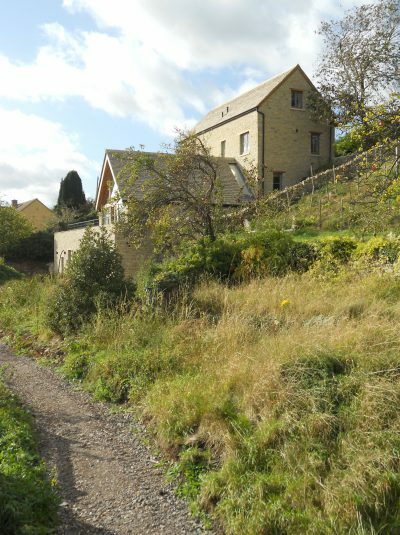 The site consists of several existing garden terraces with rubble retaining walls into which the levels and walls of the new house are integrated. 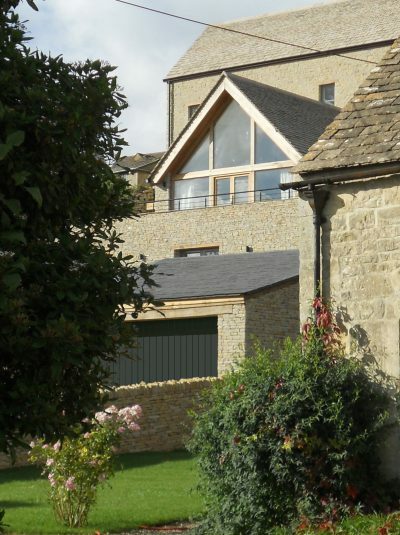 The terraces of the garden and the lower levels of the house are connected by ramps and a lift for the owner’s wheelchair.